Have you ever wondered about why we need leaders? Why wouldn’t a leaderless team of competent people working toward the same goal do just as well as a team with a leader? The reason is, although groups or teams of people can accomplish more than individuals can, without leadership, people tend to let their more selfish and base tendencies take over, with the result being slower goal accomplishment (or not accomplishing goals at all), and even misery and destruction in worst case scenarios. Teams can accomplish more than individuals, provided that the team has effective leadership. Leaders operate in countless different ways, and there’s no one “right” way to be a leader. While we may instinctively think of ordinary people following exceptional leaders into battle, some outstanding leaders accomplish things in other ways. Antonius Pius, who was Roman Emperor from the years 138 to 161was noted as one of the great emperors, even though there were no major military operations during his reign, save one in southern Scotland. Antonius was outstanding as a leader because he was an excellent administrator, who left a healthy surplus in the treasury, facilitated the enfranchisement of free slaves, and expanded free access to drinking water. Think of it this way: the car with the finest engineering in the world is useless without a steering system to ensure that it goes where it should. Likewise, the finest team in the world is going to be ineffective unless it has a leader to help it steer its progress and help it end up at the right finish line at the right time. Most major businesses and organizations understand this, and that’s why they often enlist the help of a leadership coach to ensure their leaders are equipped to handle the challenges they face. The word “coach” as we understand it in a leadership context today traces its origins to the mid-19th century, when it took on the meaning of preparing someone to sit an exam. Before that, however, the word dates to 1550s Hungary, specifically the village of “Kocs” (roughly pronounced the same as “coach”) where the large transport carriage was first made. In other words, a “coach” was originally defined as a vessel for getting people from here to there, and if you think about it, it’s an apt analogy to what today’s leadership coach does. A leadership coach may be procured from within an organization, but more commonly, one is brought in from outside, for several reasons. For one, an insider naturally has a biased view of the organization and may have difficulty seeing the situation of the leader and their team in sufficiently objective terms. For another, an insider may not feel they can be totally candid in advising a high-level leader, out of fear of possibly jeopardizing their own job. Most importantly, however, the outsider who specializes in leadership coaching is trained, like the coach used for transportation is designed, to convey a person from one metaphorical station to another. A skilled leadership coach knows specific techniques for evaluating a leader’s current status, what their strengths and weaknesses are, and how to help the leader define and articulate their goals. Coaches also know techniques for helping the leader accomplish those goals in a logical, productive manner, and they ultimately help the leader compare where they started to where they ended up after the coaching process. 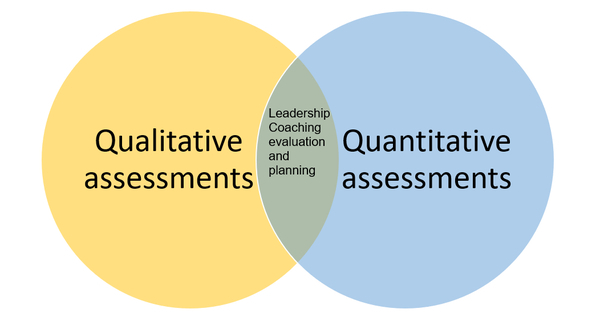 Effective coaching consists of both quantitative and qualitative assistance. 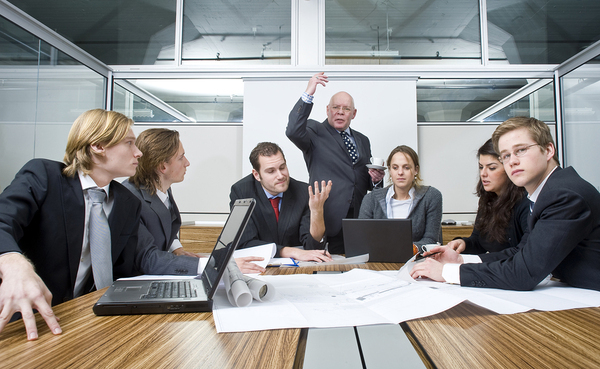 What Kind of Training Does a Leadership Coach Go Through? The best leadership coaches are not just people who have some success in business and want to peddle their techniques to others. True, there is no single credential that identifies a “qualified” leadership coach the way there exists, for example, the state Bar exam as a qualification step for lawyers to practice in courtrooms. However, there are widely-respected, accredited organizations like the Association of Corporate Executive Coaches (ACEC) or the International Coach Federation (ICF) whose credentials indicate that a leadership coach has undergone sufficient training and supervision to be of measurable value to a business and other leaders. 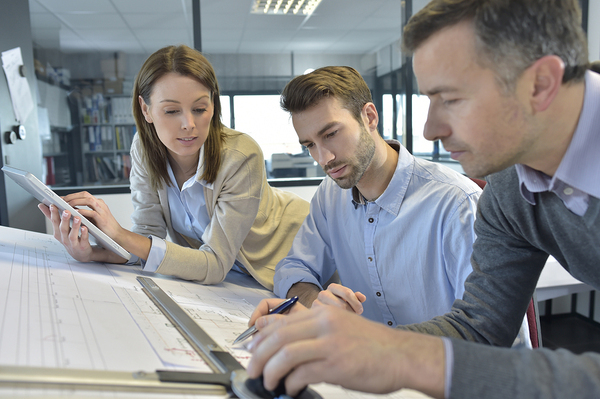 Leadership coaches who develop their own coaching programs that meet specific standards of organizations like ACEC or ICF, may obtain accreditation for their program, which gives them greater stature in the leadership coaching field. Lack of accreditation doesn’t necessarily mean that a leadership coach’s program isn’t good, but a program with accreditation offers leadership clients the assurance that the program has been thoroughly evaluated by professionals who understand what makes an outstanding leadership coaching program. Some of the most experienced and respected leadership coaches develop their own training programs to help people become leadership coaches. These training programs typically help prospective leadership coaches identify their own strengths and weaknesses, and carry out assignments that help them learn the skill set that can be used to help good leaders become exceptional leaders. The best leadership coach training programs offer follow-up after completion of the coursework to ensure they learn how to effectively execute the techniques they have been taught. How Do Leadership Coaches Help Leaders? Leaders rarely rise to their position without demonstrating excellent skills in their field and backing it up with many years of experience in putting those skills to work. However, going from, say, “Senior Engineer” to “Vice President for Engineering Operations” often requires the acquisition of non-technical skills the person may not have had the opportunity to develop fully. Maybe a new executive has led smaller teams, or has led projects with definable beginnings and ends, but has not specifically worked leading larger teams over the long term to accomplish bigger goals. That’s where the leadership coach comes in. Ideally, the leadership coach has a strong rapport with the client and is able to openly discuss issues like where they believe their strengths and weaknesses lie, and what specifically they want to improve with the leadership coach’s help. The coaching process often begins with an extensive assessment of skills and personality characteristics so that the coaching program can be custom-tailored to the leader’s needs. Together, the coach and client develop goals and a plan of action, along with milestones and other markers that indicate progress toward the goals. 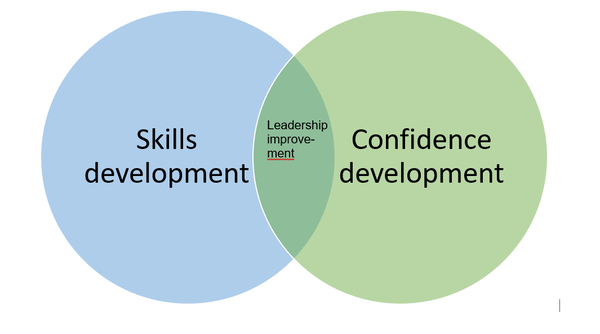 Leadership improvement depends on development of both definable skills and confidence. What Kinds of Clients Do Leadership Coaches Work With? Leadership coaches work with so-called three-letter executives, like CEOs, CFOs, or CIOs, but they may work with anyone who is in an important leadership position. In many of today’s biggest global businesses, you’ll find top-level executives who have worked with their own leadership coach for the same reason the established opera singer works with a vocal coach: to develop a level of excellence that wouldn’t be possible otherwise. There used to be a perception that leadership coaches were hired for executives who were promoted prematurely, or who weren’t living up to expectations. That would actually be short-sighted and financially foolish for a company, because even the best leadership coach can’t turn incompetence into competence, or make a person with a lukewarm attitude toward their responsibilities become infused with passion. Companies generally see leadership coaches as people who help them get maximum results from their top leaders. After all, the company has invested significant time and money in that person, so naturally they want to get the best leadership possible from them. Just as a classic car aficionado may hire a highly trained mechanic to help them get the best possible performance out of an already-outstanding automobile, the company that is invested in leadership may hire a leadership coach to ensure nothing holds a leader back from realizing their full potential. Coaching clients may have purely business backgrounds, or backgrounds in HR, IT, or a STEM field. What they all have in common is that they have assumed a leadership position and are committed to leading their team or organization to levels of excellence that haven’t been possible before. Top leaders may come from just about any background, including a STEM background. What Types of Training and Coaching Do They Do with Clients? A typical coach-client contract lasts from six months to a year, with the possibility of further follow-up after the contract ends. Much of the coaching process happens early on. For example, the coach and client must get to know each other, and the coach must fully understand the client’s responsibilities, expectations, and personal and professional strengths. For the first several weeks, in fact, a coach and client may work side-by-side while the coach learns all about what the client is like, what they do, where they excel, and what frustrates them. Once the client’s current status is thoroughly assessed, the coach and client together come up with goals and a plan to reach them. After that, the coach and client meet periodically, in person, by phone, or via video conference to assess progress toward goals and to course-correct if necessary. Usually, the coach is readily available between these periodic meetings via email or phone, if questions or problems should arise. As the term of the coach-client contract approaches its end, more assessments are made. Has the client reached goals? Where has the client excelled, and where might more work be necessary? How is the client better prepared to take on their leadership responsibilities? In many cases, a client may be able to follow up with their coach over the period of six months or a year to ask questions are apprise their former coaches of further progress. Why Are Leadership Coaches Necessary? Leadership coaches are necessary because leaders are necessary. And leaders often don’t know exactly what their role involves until they are immersed in it. Enormous expectations are often placed on the shoulders of a person in a top leadership position, and they’re expected to perform from day one. Often a business will recognize that a person has what it takes to excel as a leader, but needs coaching on certain aspects of their work, such as delegation, public speaking, or handling conflict effectively. These are skills that aren’t necessarily taught in school or on the job, and they are uniquely personalized to the situation. That’s why a one-on-one coaching relationship is considered the “gold standard” of leadership development. Leadership coaches are also necessary because at the pace that business operates today, companies simply don’t have the luxury of time for a newly-minted leader to find their footing by trial and error. Investing in a leadership coach can significantly reduce the time from when a person assumes a leadership position and when they effectively carry out their responsibilities and demonstrate their leadership skills regularly. In short, leadership coaches are immensely practical, though it might not seem that way at first. When someone is promoted to CEO, the company cannot wait around for that person to figure out what they’re supposed to do and how they’re supposed to do it. They don’t want to find out that they lack conflict-handling skills only after a major conflict has erupted. A leadership coach helps the top-level leader understand where they excel and where they have the opportunity to improve, and helps them to create and execute a plan to address those opportunities. It’s an investment with a definite, positive return. What Does It Take to Be a Great Leadership Coach? A leadership coach needs to understand leadership, ideally from having been a leader and having been successful at it. You wouldn’t hire a baseball coach who can tell people to “hustle,” but who has no understanding of the game itself, would you? The most in-demand leadership coaches have been leaders, and they know some of what their clients are going through. Just as you would want a sports coach with sports experience, you expect a leadership coach to have leadership experience. Furthermore, a leadership coach should understand the many techniques that can be used for assessing clients, helping them develop goals, and helping them create an actionable plan for reaching them. They should know how to measure progress toward goals and how to correct course if things are not progressing as they should. They should have a problem-solving mentality and a passion for helping people maximize their potential. Though it isn’t required, a great leadership coach is usually one who has completed a coaching training program that is accredited by a respected organizations like ACEC or ICF. This offers clients the assurance that people who know leadership know that a coach has been properly trained to get the results clients expect. And like most skills and pursuits, the best leadership coaches are usually ones who have done it for a while and have a track record of helping leaders fulfill their potential. Experience is indispensable to the coach who helps clients get results without wasting time. John Mattone is an award-winning leadership coach with over 30 years of experience in helping leaders go from good to great. In 2015, his Intelligent Leadership program was named one of the top Advanced Leadership Development Programs that Change Lives, and he is one of only fifteen leadership coaches in the entire world to have received the coveted Master Corporate Executive Coach (MCEC) certification. Not only has John Mattone done extensive work as an executive coach (counting among his clients the late Steve Jobs), he has developed the Intelligent Leadership Executive Coaching Certification Program, along with many award-winning online and virtual leadership development programs. He is the creator of the Mattone Leadership Enneagram Inventory (MLEI), the centerpiece of the coaching sessions he conducted with Steve Jobs. His Intelligent Leadership Executive Coaching Certification Program is accredited by the International Coach Federation. Mattone is the author of eight books on the topics of leadership and corporate culture, three of which have been best-sellers. With a Bachelor’s degree in Management and Organizational Behavior and a Masters in Industrial / Organizational Psychology, he currently serves as an MBA faculty member at Florida Atlantic University and serves as an adjunct faculty member at the ZfU International Business School in Zurich, Switzerland. In short, you won’t find a more qualified and experience executive coach than John Mattone. You are cordially invited to find out more about John Mattone and his leadership coaching services. Intelligent Leadership – a fully developed program by John Mattone designed to analyze a leader’s outer-core competencies and inner-core elements that allow a person to maximize strengths and overcome weaknesses. It is an accredited leadership program that has been used worldwide. Outsider coach – a coach brought in from an outside organization to assist with leadership development. This is usually preferred, since an outsider can offer a fresher, less biased perspective on a leader and the context in which the leader operates.